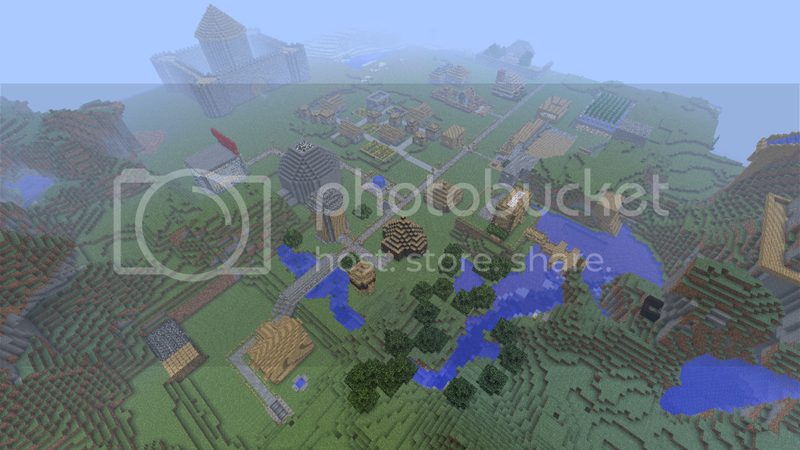 Avalon Server is a town based server in where you can go survival for your materials or simply buy them from the shop with the money you obtain throughout your time on the server. You can build wherever you want, somewhere that is reasonable of course. We really need some more people on the server, we have a decently large population, but it is always better to have more! No Hamachi required, just log on to minecraft and join the server! What else can i do on the server? We have some think called "Admin parties" where all players are welcome, what we do is we place diamonds every where so it's a hunt to find them! We also have games and arenas and such for all of your PvP needs! The admins and owner are frequently adding onto the area and enlarging it constantly making it bigger and better for the building community! There is a large variety of plugins on the server making your gaming experience much better! The shop is there so you can buy items, Diamonds are sold for money. Diamonds are fequently dispursed among the community in the server so you never run out of money. You will start off with $500 to get you going in shops. - No asking for promotions. - No asking for mats you can buy them. - Don't build unnecessary structures, i.e., 1x1 glass towers, etc. - Have fun and enjoy the server! So come join the server and enjoy your stay, build amazing structures or just a simple home in a mountain, anything is accepted on the Avalon Server!